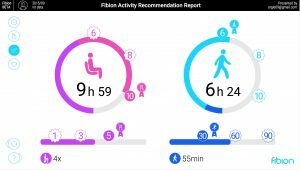 In the first interview, I chatted with one of Fibion‘s partners, Olli Tikkanen, about their approach to activity tracking and how the Fibion team can produce accurate data on movement and lifestyle from the Fibion tracker. 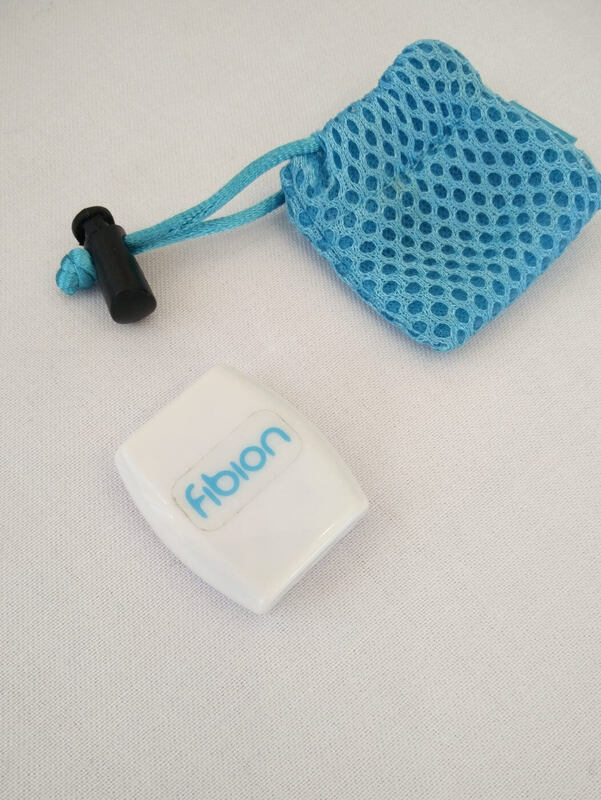 This time, I’m speaking with Jonathan Bloomfield, MD of Support2Perform, Human Performance Specialists, here in Northern Ireland, who use Fibion trackers to carryout assessments on clients. The team at Support2Perfom use the Fibion tracker and the analysis tools to do a deep dive into the wearer’s daily behaviour. The tracker is typically worn for about a week before the data is uploaded and analysed. The results are displayed in different graphics to show the person’s activity in a meaningful way. How much of my day is sitting around? 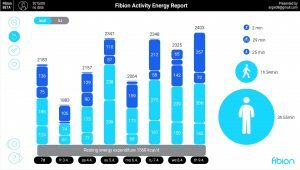 This data forms the baseline for change and having made lifestyle changes, the Fibion analysis can be redone to check that they’ve had the desired effect. 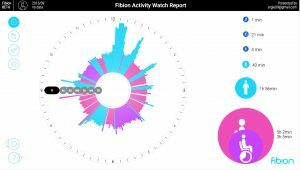 Fitbits and other activity trackers are popular: I see them on the waists and wrists of colleagues everyday and I have one myself. Good as they are at encouraging activity, they tend to be a fairly broad brush with an emphasis on hitting targets, typically 10,000 steps. While some trackers attempt show the breadth of activity across the day, they’re not very good at the detail. When was I sitting? When was I standing? How often did I stand up? 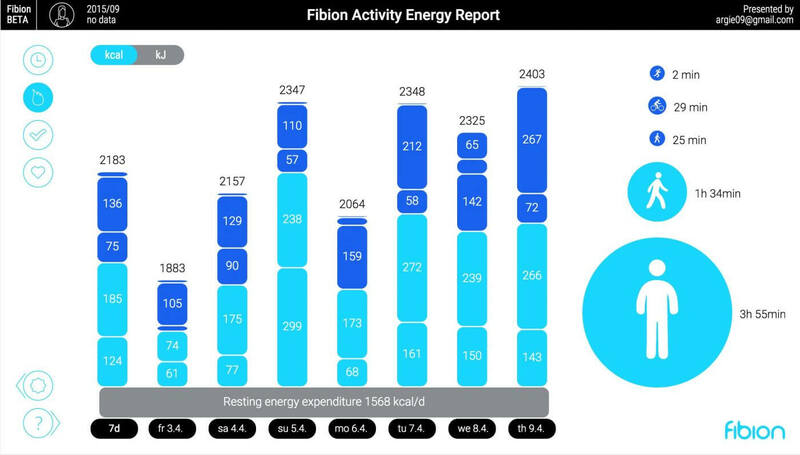 The team at Fibion can help answer these questions with their professional sitting and activity analysis, which aims to move away from the gamification of fitness to a scientific assessment for improving health. By combining the Fibion device with algorithms based on scientific research, the Fibion analysis gives accurate results for a week-long measurement, showing how much time is spent sitting versus standing and active. The device itself might be considered overly plain, but that’s by design. If you don’t see your steps, there’s no incentive to do more, and so the Fibion is more likely to record a representative lifestyle. It’s all about the science. In the first of two conversations, I interview Fibion partner Olli Tikkanen on their approach and the dimunitive tracker. 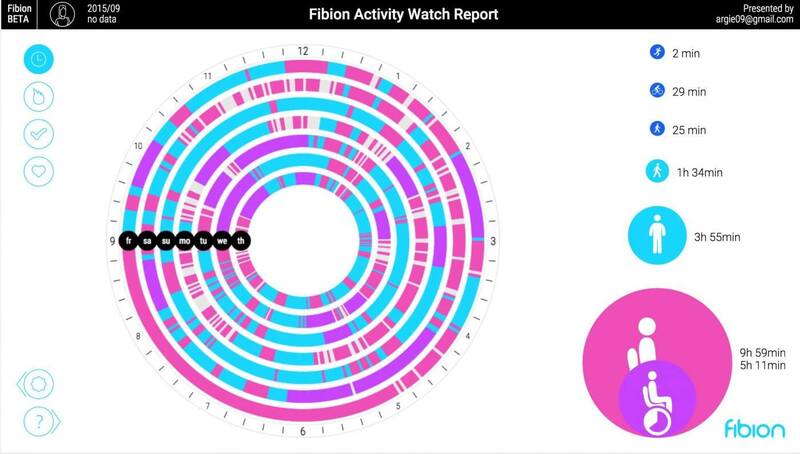 In part 2, I’ll talk to a professional who uses Fibion to assess activity in the workplace.